Continuing our theme of desperate dead ends in America we offer another look at beautiful downtown Keeler, California. 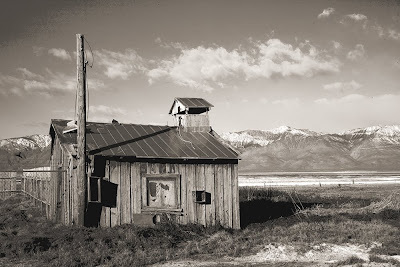 The once bustling mining mecca is one more Owens River Valley community left for dead by LA's unquenchable thirst for water. This isn't Kansas any more, Toto.